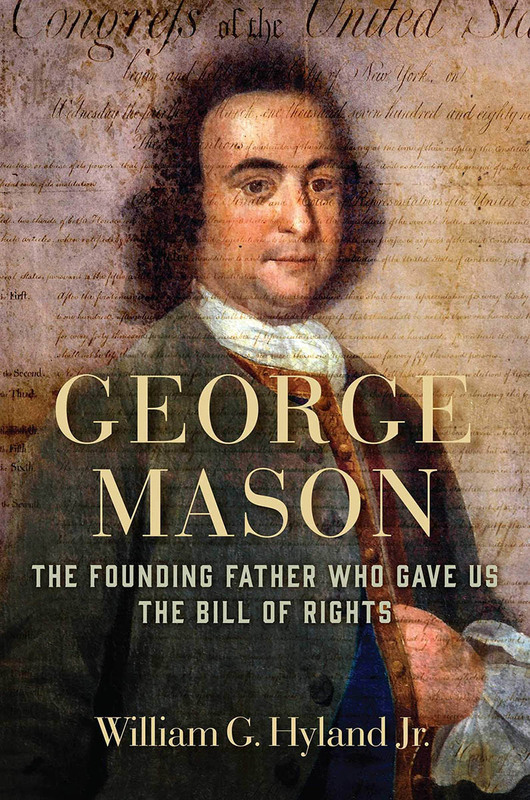 “George Mason: Author of the Revolution,” is a welcome contribution to the literature about one of the most important—yet least known—founders of the American Republic. Drawing heavily upon original documents and research, author Hyland has produced a valuable work which should put all of us in his debt. Highly recommended for scholars, students, and the general public alike. — Historian and Author, Prof. Robert F. Turner, University of Virginia School of Law; SJD Distinguished Fellow Center for National Security Law. George Mason has always been considered one of the Founding Fathers, but one who stood just outside the main spotlight. Now, fortunately, William Hyland has moved Mason into that spotlight by his illuminating and carefully researched biography of this intriguing figure. Hyland provides a scholarly portrait of Mason with new emphasis on the complete Mason—his wives, children, friends, business affairs, physical ailments, and his treasured Gunston Hall—with this splendid and balanced new chronicle. Hyland’s clear-eyed review will enlighten anyone seeking to understand the special role that Mason played in breaking from England and creating a new nation with a governing structure that rests on safeguarding human rights.” — Historian and Author Arthur Downey, The Creole Affair: The Slave Rebellion that Led the U.S. and Great Britain to the Brink of War (2014) and Civil War Lawyers: Constitutional Questions, Courtroom Dramas, and the Men Behind Them (2011). More from William G. Hyland Jr. Author William G. Hyland, Jr., a native of Virginia, received his B.A. from the University of Alabama and a J.D. from Samford University's Cumberland School of Law. A former prosecutor, Hyland is a trial lawyer with over twenty-six years of litigation experience. His publications have appeared in the law journals of the University of Texas and University of Richmond, as well as in the American Journal of Trial Advocacy, including his article, "A Civil Action: Hemings v. Jefferson." RSS News Feed for William G. Hyland Jr.